Thank you for visiting the Maid Brigade site to learn more about our industry leading services! We are the premier residential cleaning service in the Greater Fort Worth area. Our team is fully committed to our customers’ best interests down to the smallest detail. Our customer-centric approach has earned us a reputation as the preferred maid service of your neighbors and friends since 1989. 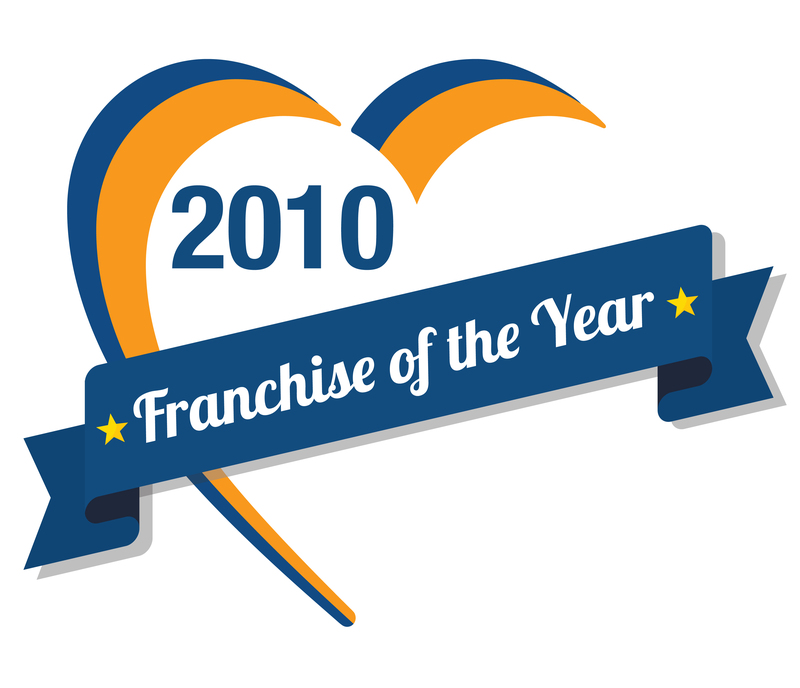 Through the care and commitment of our team, we’ve been honored to win awards for outstanding results including Maid Brigade’s prestigious Franchise of the Year. Our maids strive daily to provide the highest-quality cleaning in every home. They understand that your family spends more time there than anyone, and we want you to enjoy it worry-free! Maid Brigade uses green cleaning products certified by Green Seal which means that our customers in Arlington, Mansfield, Fort Worth, and the surrounding areas have healthier living environments to enjoy stress-free. We invite you to call one of our expert professionals at (817) 263-9300 or get a price by submitting your request online and a representative will be in contact with you. No one wants to sit around waiting for a service company to show up and we totally get it. We offer two ways to make it easier to get your home cleaned without sitting around not knowing when we will show up. Most of our regularly serviced customers provide us with a key to their home. It’s securely locked at our office when we aren’t cleaning your home. We also have the ability to provide you with a phone call or text message 30-minutes prior to the team’s arrival. We don’t expect you to sit home all day waiting. We value and respect your time. We are the only local maid service that is Green Clean Certified®. Our teams use products without the harsh chemicals found in traditional cleaning solutions. Each one is verified safe by Green Seal and protects your family from the potentially harmful toxins left by other residential cleaners. ­ Even though these commonly used chemicals are removed, our teams continue to achieve a sparkling, healthier clean for customers (both two-and four-legged)! Our maids are experts at cleaning homes no matter the type of stain, surface type, or home’s layout. Ask about our extensive list of services, and we will collaborate to customize each visit based on your unique needs. Residential cleaning is our specialty. From floors to cabinets and everything between, your cleaning needs are covered for an affordable price. We are well aware that cleaning doesn't just mean tidying-up. When our maids service your home, you can be sure every nook and cranny is spotless. Maid Brigade complies with federal, state, and local labor and tax laws. We carry insurance to safeguard against accidents: liability, bonding, and workers’ comp. Our teams bring all supplies and equipment. You can find our cars leaving happy homes throughout Tarrant County and beyond from Burleson, Crowley, Westover Hills, Saginaw, to Benbrook. Whether it’s a touch-up before the Dallas Cowboys game day gathering, clean-up after your kid’s birthday party, or a deep clean for the guests during TCU parents weekend, we are here to cover whatever your cleaning needs. Our maids are experts at cleaning homes in a safer, efficient way. One of the best parts? Our work gives you time to do more enjoyable things. Wouldn’t it be nice to spend a weekend dining or shopping in downtown Ft Worth at Sundance Square or the Fort Worth Stockyards or time with the kids at Six Flags Over Texas? Maid Brigade can give some healthy time with friends and family. Why We Stand Out from the Rest! We are a local, family-owned business that has cleaned 150,000+ homes over the past 25 years for families in Fort Worth, Arlington, Mansfield, and surrounding areas. Our roots extend throughout the communities we serve. It’s likely that our maids have created healthier homes in your neighborhood. Ask around and then give us a call to learn from one of our cleaning experts how our service is better for your family and for your home. Our team understands a big part of hiring a maid service is earning your trust. There is no better way to do that than through consistent, excellent service over time. We hire only the most qualified maids; after all, Our People Shine! In addition to highly-qualified staff, we invest significant resources in training each individual throughout their career. You may ask yourself, “How is this possible?” Every member of our cleaning service who steps foot in your home is an employee of the company (not an independent contractor like other maid services) and is fully insured which means that you’re covered in case that rare accident occurs. Simply put, we ensure you’re protected beyond the cleaning. Peace of Mind! It’s a valuable perk of working with Maid Brigade. Aledo, Arlington, Benbrook, Blue Mound, Burleson, Crowley, Dalworthington Gardens, Edgecliff Village, Everman, Forest Hill, Fort Worth, Haltom City, Kennedale, Lake Worth, Mansfield, Panetgo, River Oaks, Saginaw, Watagua, Westover Hills, and White Settlement. *Not sure if we clean in your area? Give our professional staff a call, and we'll be happy to check and answer any questions.